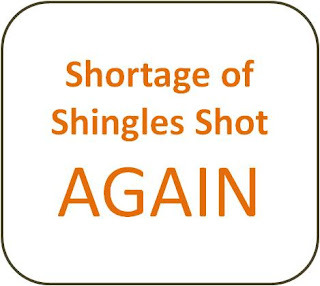 Last week we received a few inquiries about where to find a shingles shot. Seniors have told us that they are having a hard time finding the shot. When researching information about shortages of this vaccine I found plenty of articles for previous years. Zostavax is the only available shingles vaccine in the US. Merck acknowledges there is a shortage due to manufacturing delays and supply issues. 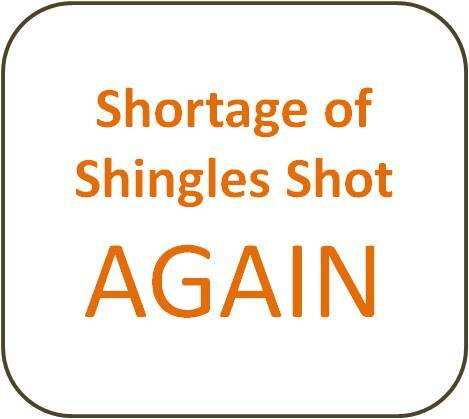 This is little comfort to those that want to prevent getting the shingles. While they do have a shingles vaccine locator, you are best to verify availability before you go. The vaccine is not inexpensive, sold to health centers and physician offices for $153.93. Expect your cost to be higher because of the administration fee ($200 to $300). Currently, it is not covered by Medicare Part B and most health insurances. Medicare B covers flu, pneumococcal, and hepatitis B. The National Vaccine Information Center says that the FDA in May 2006 was Merck a license for the herpes zoster (shingles) vaccine (Zostavax) and in October 2006 the CDC recommended it for use by all Americans aged 60 and older. Merck has recently applied to the FDA for Zostavax to be recommended for the 50-59 age group and expects a decision early 2011. Let us know your success/failure when searching for this vaccine. According to a Kroger Community Affairs Spokesperson, Kroger Pharmacies do offer the shingles shot. The customer should check with the local pharmacy to confirm that the vaccine in available. Could not get it at my physician's office (waiting list over 100) and Kroger also had a long list. Readily available at Rite Aid. Just stop in, pay your exorbitant fee and walk away well vaccinated.